Toshiba Electronic Devices & Storage Corporation (“Toshiba”) announces the availability of a new compact power MOSFET gate driver intelligent power device (IPD) for automotive 3-phase brushless motors. The device is intended for use in automotive motor drive applications, such as 12V electronic power steering (EPS), oil/ water pumps, fan motors and electric turbochargers. Toshiba’s IPD products provide protection for high-side and low-side power switches – especially valuable in automotive applications. Typically, they protect against a shorted load, open load and an output short-circuit to the power supply, as well as ECU abnormalities such as overheating. IPDs can be directly controlled from a microcontroller (MCU) and also provide diagnostic feedback to the MCU. They reduce the number of components required and improve the reliability of automotive ECU circuits. 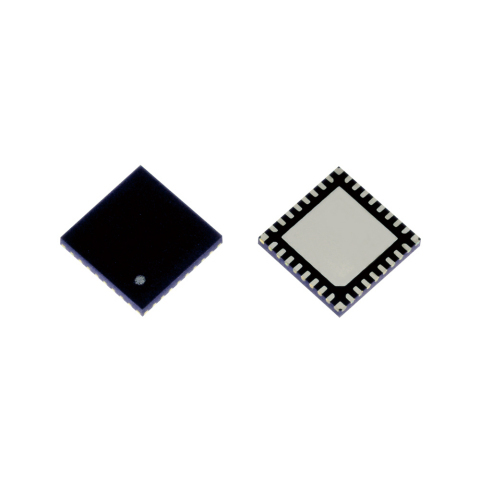 The device can drive the gates of MOSFETs for 3-phase brushless motors and operates from a +4.5 to +18.0V DC supply, sourcing/sinking up to 1.0/1.5A, respectively. An inbuilt charge pump circuit makes it easy to configure a 3-phase full-bridge circuit. Included protection functions are supply voltage short, GND short and over-voltage protection. Inbuilt diagnosis provides feedback to the system and covers supply voltage shorts, GND shorts and abnormal supply voltages to the driver. Able to drive gates of power MOSFETs for 3-phase brushless motors. Follow the link below for more on Automotive IPDs line-up.